This modern and Multi functional 2-seater is all about contrasts, as a strict sculptural outer shape complements an inviting rounded inner with organic curves. The reversible seat cushion is dual-tone and can be turned around in a snap in order to let you decide whether you want a classic or a bolder look depending on your mood or personal preference. 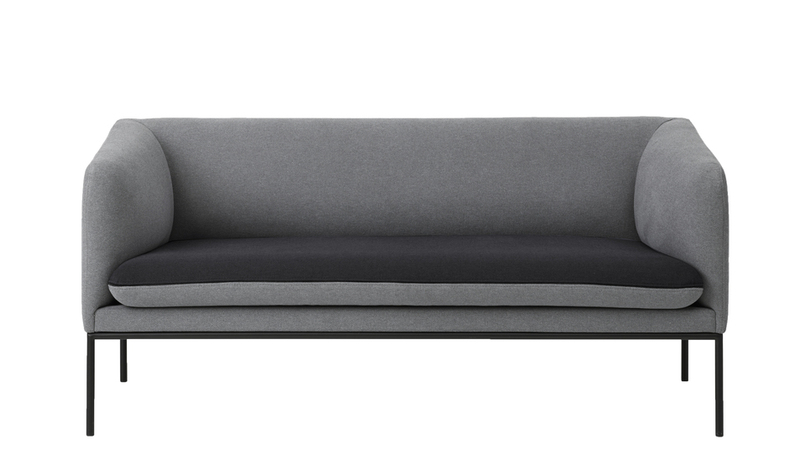 No matter which color you choose, this sofa has a timeless and clean look with its tight upholstery and simple frame in powder coated metal, yet with a feminine touch due to the soft inner curves and warm materials. In addition to the light and slim metal legs, which give an elegant, floating expression, the discrete size makes this sofa practical and easy to fit in to your existing furniture and mix with your personal style.